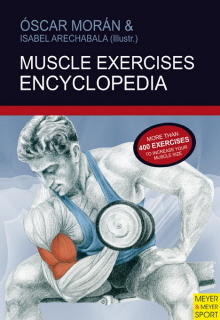 Muscle Exercises EncyclopediaEven more people have taken to working out in our modern industrialized society to make up for the decline in the physical activity that was once needed to obtain food, a roof over their heads, security and mobility. These people have realized:That physical exercise is a fun, effective and economical route to well being. However, it can have health implications, and this makes it necessary to maintain a modest awareness in our training routines.That a sedentary lifestyle is the shortest route to ill health. 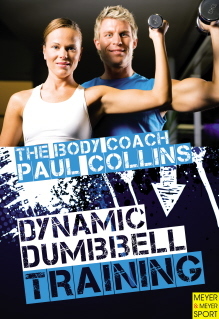 Our body is always with us, and it is our responsibility to look after it and work out to enjoy quality living.Weight training, intelligently combined with other factors, is the most complete, prophylactic, therapeutic and aesthetic method to achieve the objectives of good health and wellbeing.This book describes over 440 exercises with comments and illustrations based on empirical know-how and scientific research. 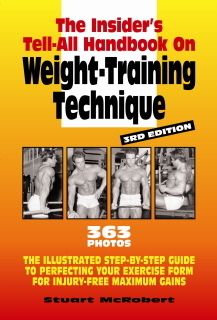 It includes all of the basic and numerous less common exercises with comments and illustrations. It is thus an authentic encyclopedia of exercises and biomechanical information, but the language used is easily comprehensible at all times.Óscar Morán (Spain) is a professor of Physical Education and a national weightlifting and bodybuilding trainer, fitness sports technician, sports nutrition technician and an expert in martial arts. He has been an owner and technical director of gyms, creator and editor of fitness and bodybuilding magazines, has given conferences at several universities, has done research on athletic initiation, has organized congresses as well as national and international symposiums in the world of sports and P.E., has been a member of the board at the International Federation of Physical Education, has ample teaching experience in strength and sports training, and has published several books and dozens of articles in specialized magazines from various countries.Isabel Arechabala (Spain) has a Bachelor’s Degree in Fine Arts from the Complutense Faculty of Madrid. Since 1982, she has been working in the fields of illustration and graphic design. She successfully combines her work as an illustrator/graphic designer and her job as a professor of illustration and computer graphic design.Meyer & Meyer Sport books are distributed by Cardinal Publishers Group.